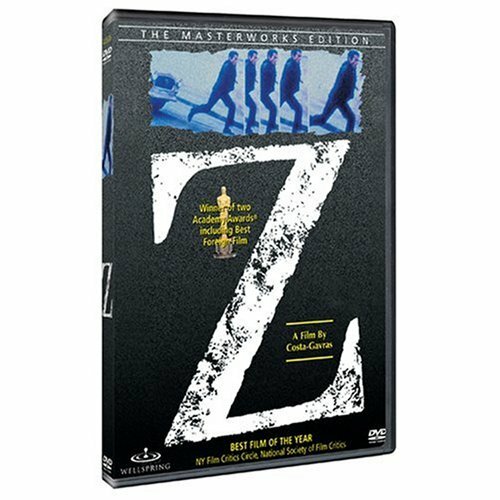 From the acclaimed political film maker Costa-Gavras (Amen, Missing, Music Box) comes Z, winner of the Best Foreign Film Oscar® in 1969. Z's edge of your seat action closely parallels the real life assassination of Gregorios Lambrakis, a Greek doctor and humanist whose murder in 1963 led to an abortive public scandal. Hailed as one of the greatest political thrillers ever made with superb performances by a top international cast including Yves Montand (Jean de Florette), Jean-Louis Trintignant (Red) and Irene Papas (Zorba the Greek), Z is one movie "you can't afford to miss."